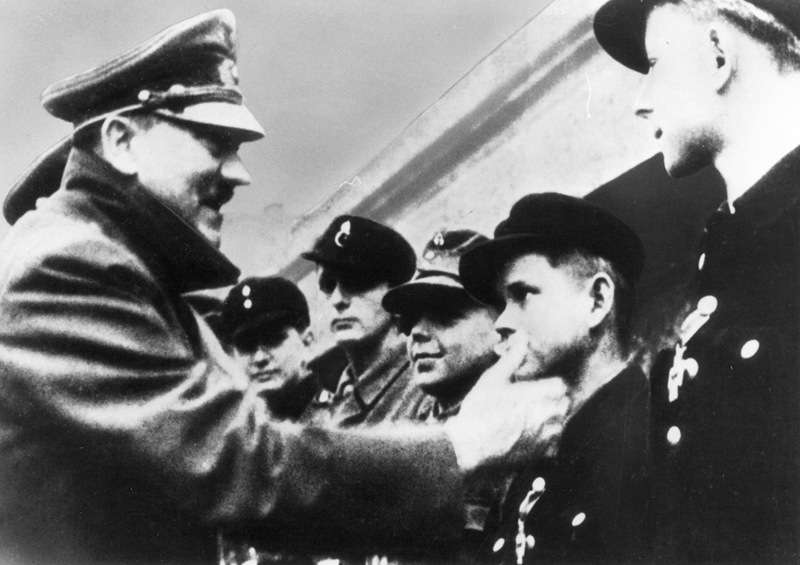 Hitler inspects Hitler Youth soldiers during the last days of the Third Reich, a still from a newsreel. By this time, old men and young boys comprised a high proportion of Germany’s ground forces as Germany was being invaded from both east and west. 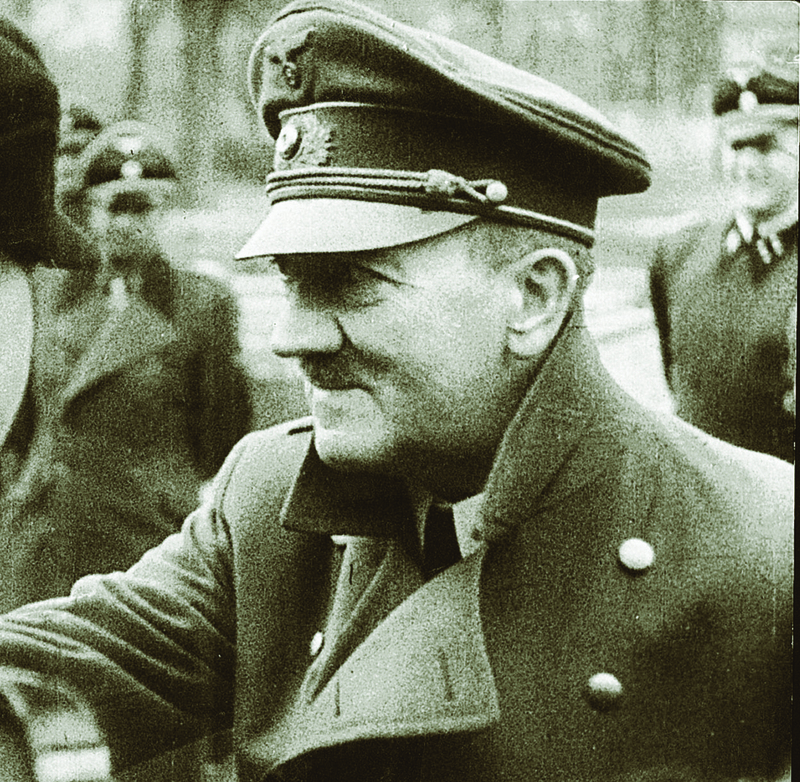 A drawn and haggard Adolf Hitler during one of his last appearances outside his bunker in Berlin. By this time Hitler was increasingly losing his grasp of reality, ordering movements of formations that in practice did not exist and still hoping that something would happen to save his Reich from the Red Army that was grinding down Germany’s forces. During these last months, Hitler often mentioned Frederick the Great, whose Prussian state was saved from dismemberment in the Seven Year’s War when the Empress Elizabeth of Russia died in January 1762. 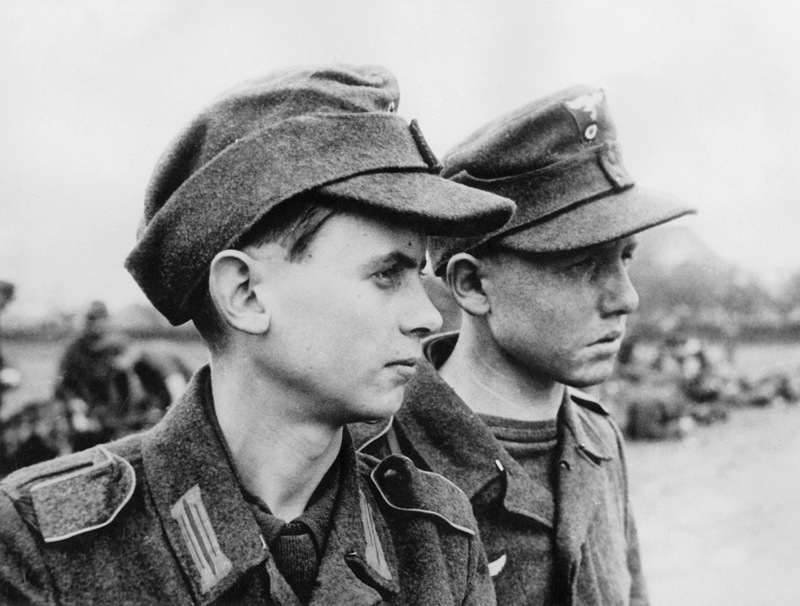 Young and under nourished - the ranks of the Wehrmacht were being filled by shockingly young men in 1945. These youths have been captured in March 1945. 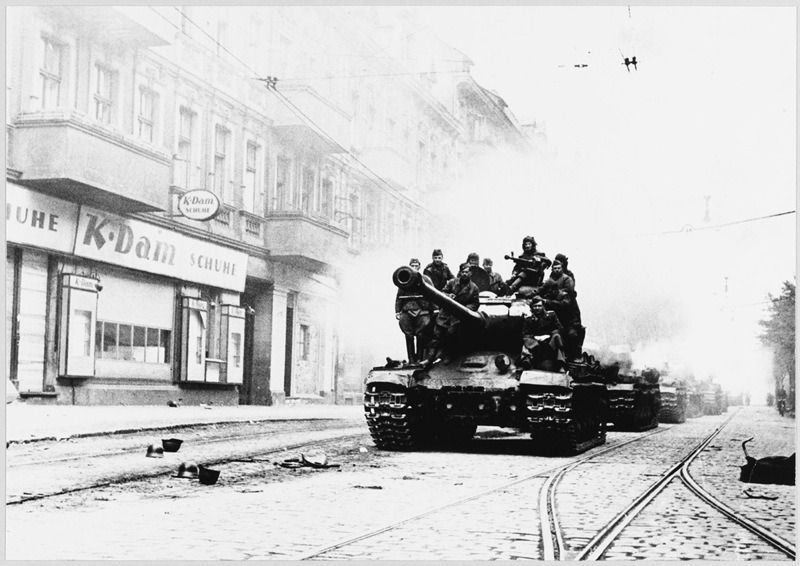 Soviet troops drive forward into Berlin riding atop a Josef Stalin JS-2 tank. The Wehrmacht had little to put in the way of the mass of heavy machinery that the Red Army (and also the western Allies) could call on in their final drive into the German heartland. 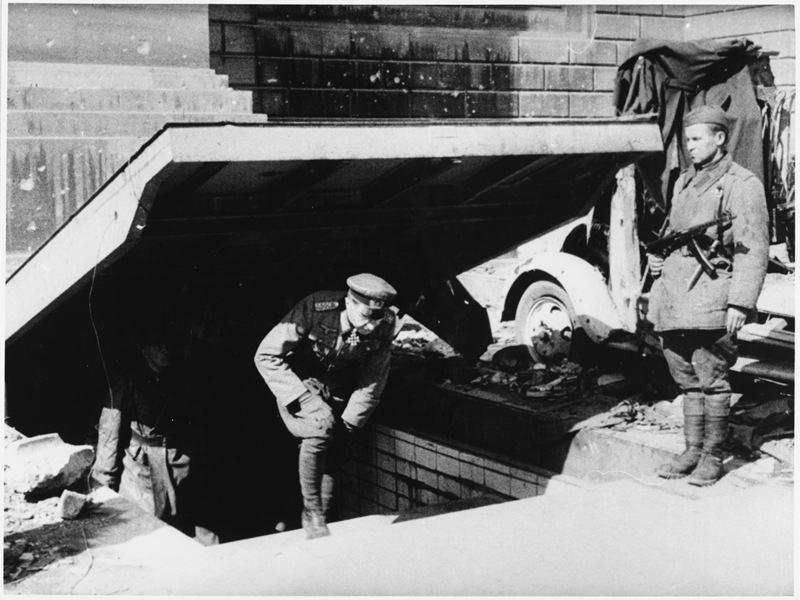 The commander of the Berlin garrison, General Helmuth Weidling, leaving the Reichs Chancellory bunker to sign the formal surrender of the city to the Red Army. The fighting stopped about two days later. Weidling surrendered to Vasiliy Chuikov, who had commanded the Russian 64th and 62nd Armies that hung on grimly in Stalingrad in 1942, and for the Soviets it was fitting that he should take the surrender of the Berlin garrison.